The Upside "Zoe" sports bra with boxing glove print. Soft, four-way stretch; quick drying. 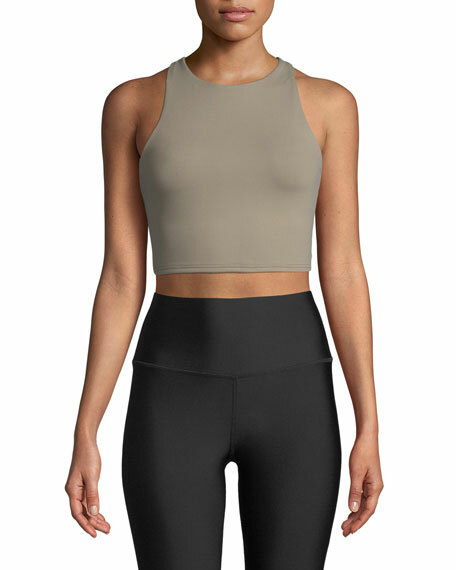 adidas by Stella McCartney sports bra with tonal mesh. Removable padded cups. High neckline. Cut-in shoulders. Racerback. Elastic logo-print band. Pullover style. Recycled polyester/spandex. Imported.